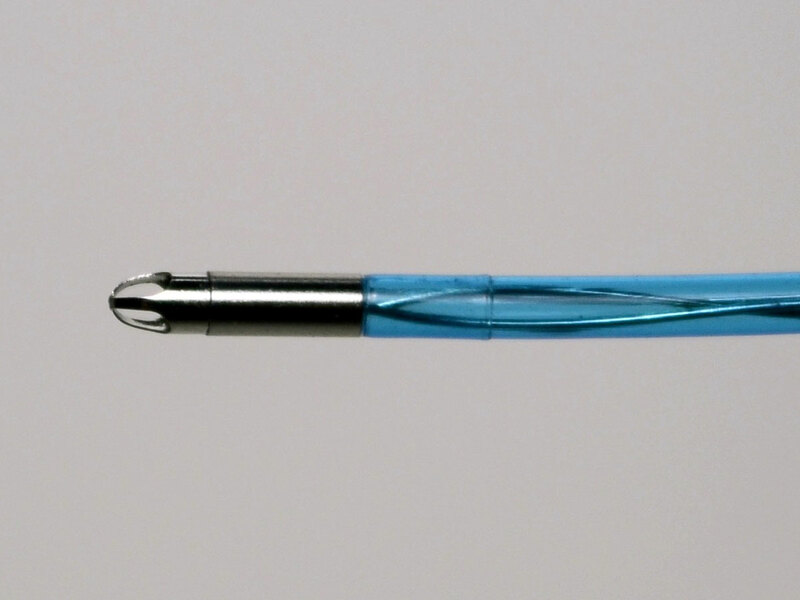 The catheter is equipped with three hollow, stainless steel needles curved at 75°. 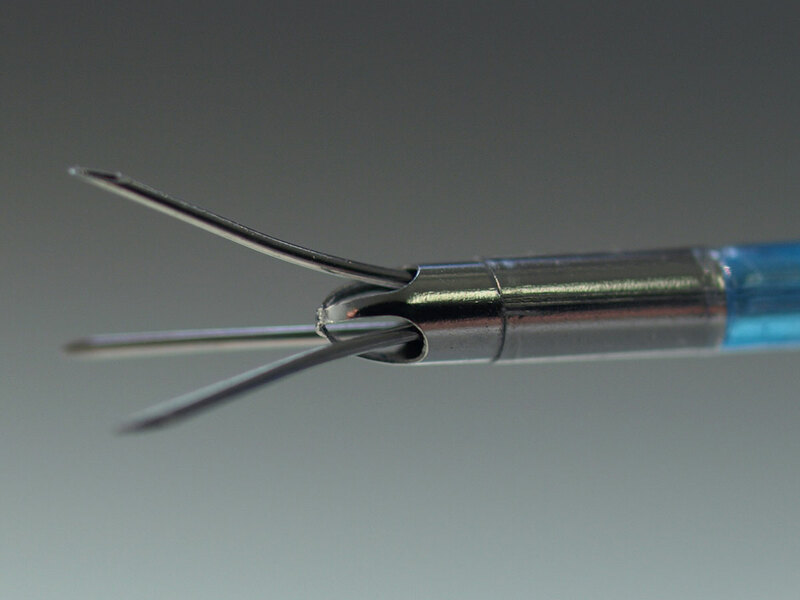 The curvature of the needles allows a safe and controlled puncture depth, ensuring that they do not perforate the tissue. Moreover, the use of three needles implies a larger surface for accurate injection, thus reducing the number of injections needed, and the time required to complete the procedure. A metal distal tip covers the needles. 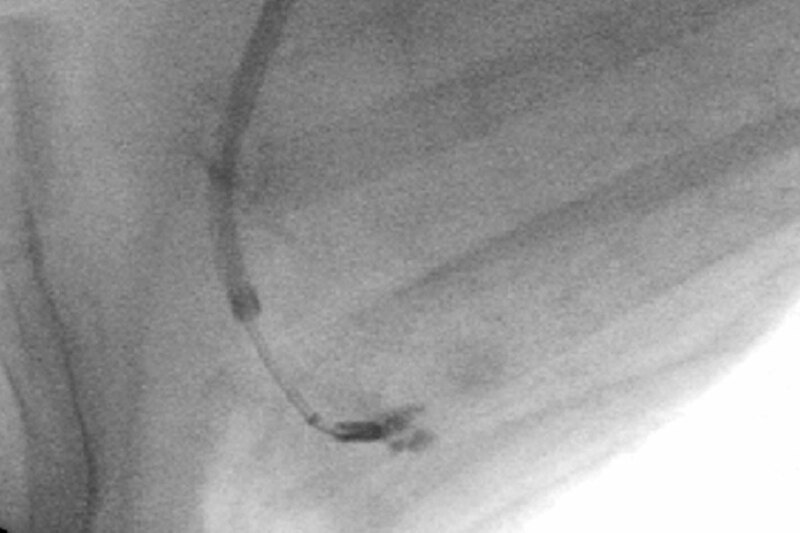 A radiopaque distal tip provides exceptional visibility of the needles' position with respect to the injection site under fluoroscopic imaging. This ensures accurate positioning and careful injection of the agent.